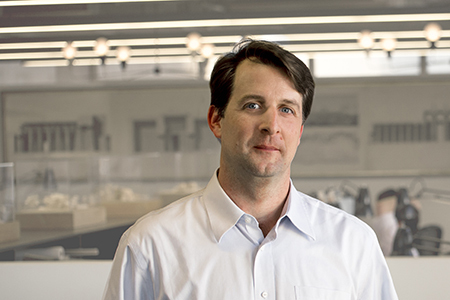 Lee Ledbetter is a practicing architect who founded Lee Ledbetter & Associates in New Orleans in 1996. The firm’s projects have received numerous local, state and regional AIA design awards and have been extensively featured in local and national publications. Ledbetter’s work is perhaps best known for its integration of architecture and interior design, both of which disciplines his firm actively undertakes. Mr. Ledbetter received his M. Arch from Princeton University where he was awarded the AIA school medal along with three merit scholarships. He received his B.S. Arch from the University of Virginia and spent one year at the Institute for Architecture and Urban Studies in New York. He has served as a visiting instructor at Columbia University Graduate School of Architecture, Planning and Preservation and at Tulane University School of Architecture. House and Garden selected Mr. Ledbetter as one of fifty “New Tastemakers” in recognition of his firm’s architectural and interior designs. Similarly, Metropolitan Home described him as “one of twenty outstanding talents in the design community”. He has appeared on both U.S. and Canadian television productions of HGTV, and his work has been exhibited in New York at the Institute for Architecture and Urban Studies, the Architectural League, and the Paine Webber Galleries; in Washington at the American Institute of Architects; in Toronto at the Ballenford Architectural Gallery; and in New Orleans at the New Orleans Museum of Art, the Contemporary Arts Center, the Ogden Museum of Southern Art and the American Institute of Architects. Prior to establishing his practice, Mr. Ledbetter worked in the offices of Robert A.M. Stern and Gwathmey Siegel in New York, Michael Graves in Princeton and Skidmore Owings and Merrill in Chicago. 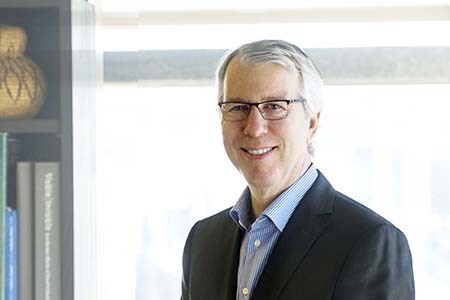 He is a member of the American Institute of Architects College of Fellows, the National Trust for Historic Preservation and the National Council of Architectural Registration Boards (NCARB). Mr. Ledbetter serves on the City of New Orleans' Historic District Landmark Commission's Architecture Review Committee for the Central Business District, and the Director’s Council of the New Orleans Museum of Art. Chris Loudon joined Lee Ledbetter & Associates in 2005. With training in the field of architecture, construction, and cabinetmaking and over nineteen years of experience in architecture, Mr. Loudon has been responsible for research, design, detailing and project management for a wide range of public, commercial, and high-end residential projects. Mr. Loudon, a registered architect, studied architecture at The Georgia Institute of Technology School of Architecture, and he received construction and cabinetmaking training operating a custom furniture and renovation business in Atlanta and later while working as a trim carpenter and cabinetmaker on high-end residences across Connecticut, New York, and the Bahamas. Key projects include the Stallings St. Claude Center, Robert E. Smith Library, Norman Mayer Library, St. Roch Market, and Ledgerock residence. Previously, Mr. Loudon worked in New Haven, CT for Gray Organschi Architecture where he was a project manager and designer on small commercial and highly detailed residential projects. Amy Petersen joined Lee Ledbetter & Associates in 2009. 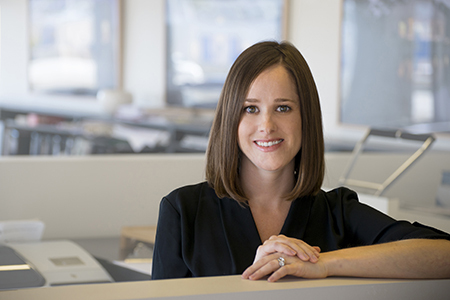 She has eleven years of experience through all phases of design and construction on both private and public work. She received a bachelor’s degree from Louisiana State University and is a registered architect in the state of Louisiana as well as a LEED accredited professional. Ms. Petersen has a range of experience on different project types from residential renovation and interiors to commercial and institutional new construction and renovation. Key projects include Saint Charles Avenue Presbyterian Church, Norman Mayer Library and the FF&E package for Yulman Stadium. Previously, Mrs. Petersen worked in the Washington, D.C. area on mid and high-rise mixed-use commercial developments. Tarra Cotterman joined Lee Ledbetter & Associates in 2002. She has nineteen years of experience in programming, site analysis, design, project development, and construction administration and holds a bachelor’s degree from Georgia Institute of Technology and a master’s degree from Yale University. 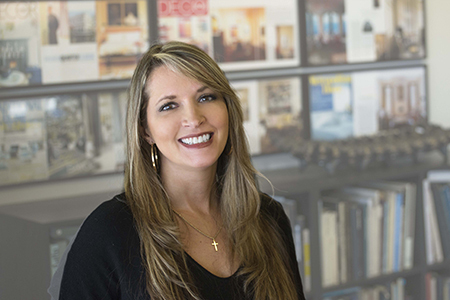 Ms. Cotterman has experience on a wide array of project types in Louisiana, Georgia, New York, and Connecticut, including both renovations and new construction. Her design ability ranges from the most detailed custom design work, to efficient planning of large, multi-service public work. She is a registered architect in Louisiana, and her key projects include St. Charles Avenue Presbyterian Church, Robert E. Smith Community Library, Avery Island Residence, Hickory Residence, and most recently the Joan Mitchell Center’s Artists’ Studio Building. 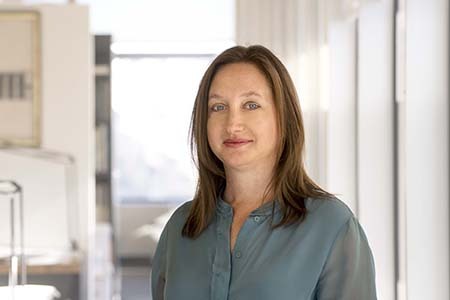 Previously Ms. Cotterman worked in New Haven, Connecticut for Gray Organschi Architects on design-intensive residences. William Soniat, Jr joined Lee Ledbetter & Associates in late 2012. He has eleven years of professional experience through all phases of design and construction and holds a bachelor’s degree from Louisiana State University and is a registered architect in the state of Louisiana. Mr. Soniat has experience on projects of various scales, with a focus on custom residential design. Key projects include the Joan Mitchell Center Artists’ Studio Building, the Burdette Street Residence, and most recently the Twisted Pine Residence, a large custom home in the Florida panhandle. Previously Mr. Soniat worked as a designer and construction manager for a small design-build firm in New Orleans, bild DESIGN. Heather Sutton joined Lee Ledbetter and Associates in 2002 as Business/Office Manager. She has over seventeen years experience in Business Administration and holds a degree from Pensacola State College. Ms. Sutton is involved in HR, accounting, bookkeeping, office operations, reporting, as well as marketing. Her incredible organizational skills keep our office running smoothly.